Justice Ministry to investigate former PM for writing book containing classified information while in prison. The State Attorney approached the police, with the approval of the Attorney General, and requested that an investigation be conducted on suspicion that former Prime Minister Ehud Olmert committed a criminal offense. The Justice Ministry said that during his incarceration Olmert wrote a book which included sections dealing with sensitive security issues. The ministry noted the recent incident in which Olmert's lawyer was caught with classified documents from a chapter of the book in prison. The chapter includes, among other things, secret operational details that were never approved for publication. Olmert is suspected of having transferred the chapters containing classified information to various unauthorized parties outside the prison, in violation of the Penal Law and the warnings given to him in the past. It is feared that Olmert's sharing of the classified information could lead to leaks and could cause serious damage to Israel's national security. As part of the investigation, testimonies were collected from various sources and various documents were seized. This morning, the police searched the offices of the Yediot Ahronot publishing house (not the newspaper), after obtaining a court order allowing the search. A decision is expected to be made soon on whether to open a full criminal investigation. 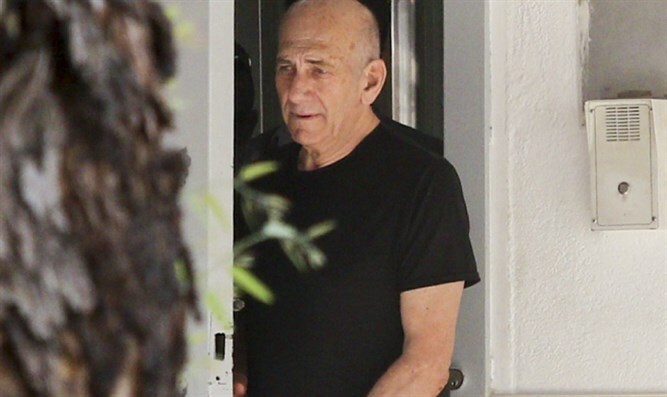 At the same time, the State filed a request to postpone the hearing on Olmert's request for early release to the Parole Board, scheduled for next Sunday, in light of the opening of a police investigation into the affair, in order for the hearing to take place as soon as possible after additional evidence have been collected.